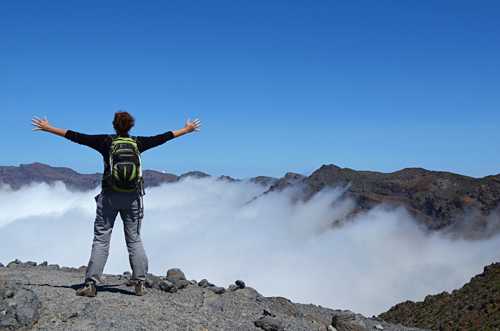 HomeFeatured WalksWalking on Tenerife’s Coast, Who Needs Hills and Forests? By now many people will be aware that some of the Canary Islands, including Tenerife, have been experiencing a bit of a problem with forest fires over the last few weeks. 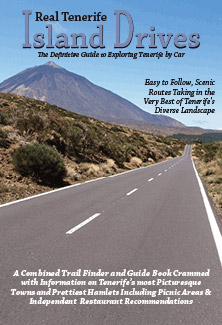 Those who have been relying on the British tabloids for their info may have a more ‘creative’ version of events, those using Tenerife Magazine’s facebook page will know the reality. 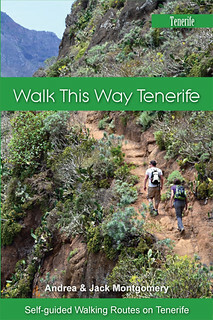 With heatwave after heatwave and Tenerife Government advice more or less making the forests a no-go area until the end of August, we decided to head back to one of our favourite coastal walks with our friend Arantxa. 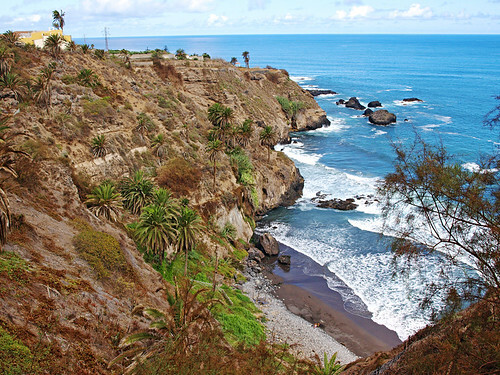 The Rambla del Castro route in Los Realejos is our favourite coastal walk on Tenerife. It possesses a tropical beauty that exudes an exotic flavour of the Caribbean. It also has history, secret coves and quirks galore. 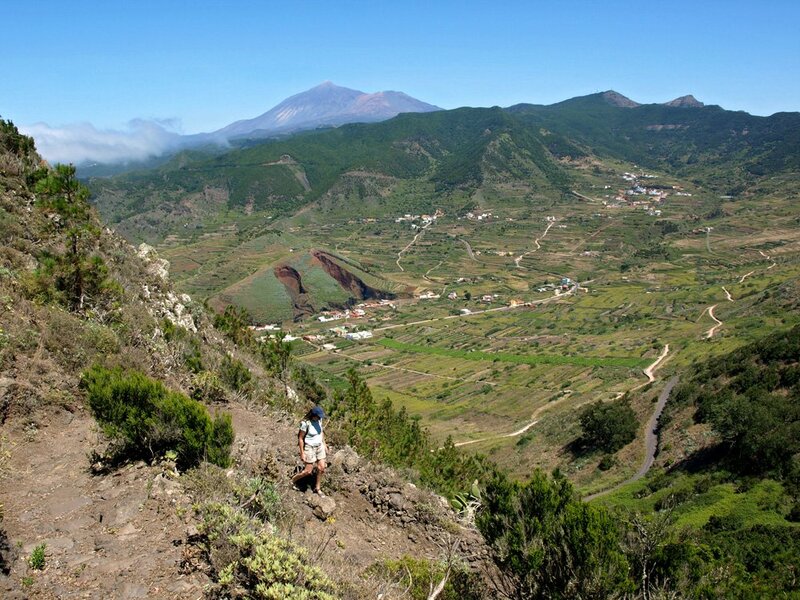 It was the first time that Arantxa had walked it and initially progress was slow as we stopped to photograph each and every interesting aspect… and this is a walk that’s jam packed with curios. A tiny ermita at the start is about as ordinary as it gets. After that there seems to be something of interest every few steps – a large, lone drago tree standing above a sea of banana plants; intriguing colonial hacienda’s whose orange tiles peak above the glistening jade forest of leaves; a coastline that is rugged and stunning in one direction and mysteriously alluring behind a sea spray mist in the other. 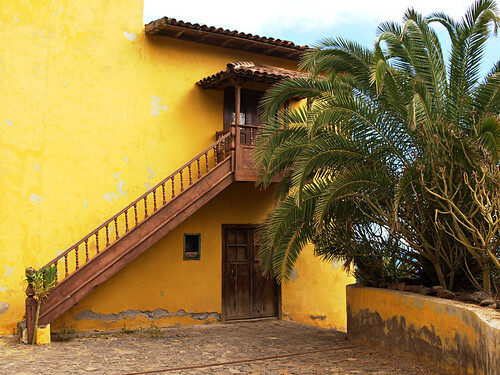 As we walked in 30C heat, the only other people we passed were banana plantation workers with grimy faces who all smiled an open “bueno dia” as we passed, swallowing the ‘s’ in typical Canario fashion. Our route took us through a citrus scented road to the coast. A tiny, half hidden tunnel leads to rocky coves tucked into the folds of the cliffs. 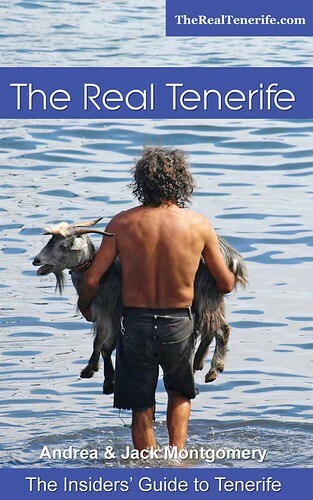 They’re populated by one or two local sunbathers and a few fishermen casting lubina bound lines from the rocks. Nature gave way to history as we stopped to look at an old lavaderos beside the heartbreaking hacienda that lends the route its name. Heartbreaking, because the mustard coloured façade is cracked and peeling, windows are broken and the old dame isn’t looking her best at the moment even though the imposing building is still impressive if you’re a first time viewer. 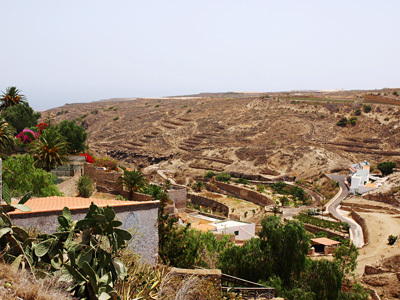 From there a maze of dead end paths lead to all sorts of delightful corners – wooden benches above the palm grove, a viewpoint overlooking a Pirates of the Caribbean cove and a rock impersonating a camel and, my favourite, the tiny fort of San Fernando. This is a route to be savoured. 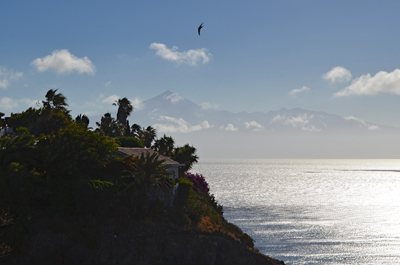 It’s not one of those Tenerife walks that will seriously test your thigh muscles, although there are some decent inclines if you follow the whole route towards the Punta Brava end of Puerto de la Cruz. It’s a walk that, to get the best of it, you need to sit awhile at some of the key points in order to absorb the surroundings. 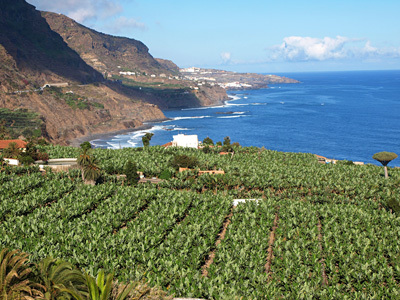 If 10 years ago someone had shown me a picture of the view from the fort and had told me it was Tenerife, I would have considered their geographical skills to be seriously lacking. Now it’s a view that never fails to brings a wide smile to my face. 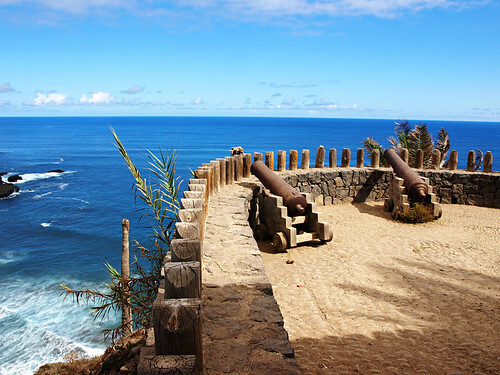 Every time I look across the cannon to a vista of palms, haciendas and crashing waves I still think to myself, with a little bit of incredulity attached, ‘This is Tenerife’. 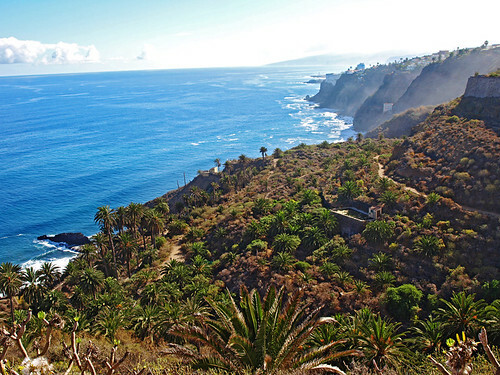 The Rambla del Castro walk is one of the routes featured in Island Walks – A Captivating Coastline.